Zachary Jones @ZJonesSpanish, brought up an interesting debate on twitter, by asking if fellow Spanish teachers teach vosotros and why or why not. @hmwildy: I had a prof say “they only use vosotros in Spain, we won’t learn it”. What?? There are almost 46 MILLION people in Spain!! @hmwildy: Why not teach it? I wasn’t taught it and then went to Spain and felt like a total idiot! Wish it was taught more in the US! @stephgonz: always teach vosotros! i teach it because i never learned it as a student and then was beyond confused in Madrid! @sraoconnor: I introduce vosotros but do not assess it. I did not learn it as I grew up in Mexico so it is not natural for me to use. 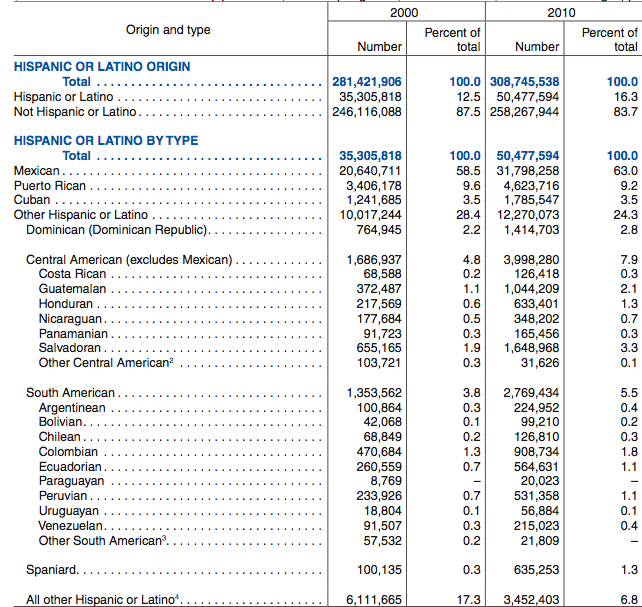 According to this information there are 50,477,594 people of Hispanic origin in the US. We can also see that 63% are Mexican, 9% Puerto Rican, 7.9% Central American, 5.5 South American, and just 1.3% Spanish. Again, let me repeat that last number. 1.3% of Hispanics are actually Spaniards, or just 635,253 out of over 50 million. For me, the actual purpose of our programs are for our students to be able to communicate in the target language. Hopefully, they will continue to study and become fluent and maybe even use it in their job one day. To teach our students to use vosotros is not natural. It would be extremely uncommon for them to come across its use in the United States. The 98.7% of people they encounter do not use vosotros. The rest of the world does not use vosotros and many native speakers continue to mock the Spanish for their lisp and use of vosotros. I have traveled to Spain. Did I use vosotros? No. Did I understand when the natives used vosotros? Yes. Let me finalize this by putting it into an analogy. Teaching vosotros in the United States is like teaching our ESL/ELL students to speak the British English. So, the question remains… Is vosotros an important item for middle and high school students to learn in their Spanish class? Would love to hear your thoughts on the subject in the comments! 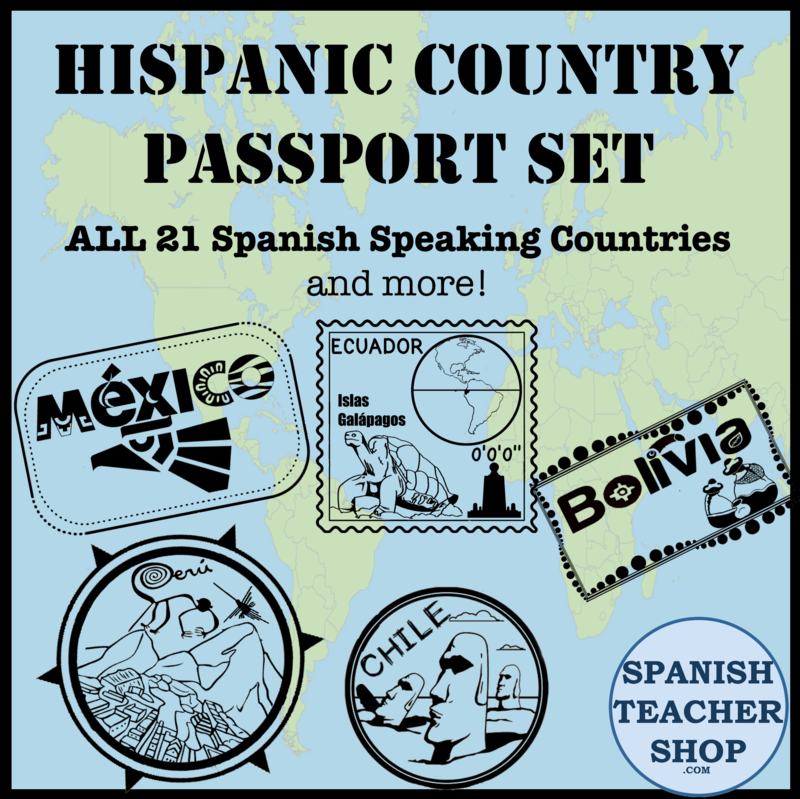 This entry was posted in Discussion/Methodology and tagged flteach, Hispanics, spain, spanish, teaching, US Census, vosotros. Bookmark the permalink. I teach middle school Spanish and I teach vosotros. I teach it because it’s part of learning the language. Period. I have a BA and an MA in Spanish and I’m a traditionalist when it comes to teaching grammar. I also introduce vos, but we don’t do as much with it. If your students ever plan on taking college level Spanish it is likely they will be reading Spanish literature and therefore should be familiar with it. Disclaimer: no matter how this may be perceived this is not a rant, I’m just trying to make a point. First off, it may not be used in Hispanophone areas in the Americas, but, they still teach vosotros in schools. Second, not teaching the language as a whole is a DISSERVICE to students. So teaching vosotros should be done. But, I do not mean they shouldn’t obscure or outright leave out the other varieties. Learning the standard language of Spain will help out learners a lot. From learning the vos forms (vos+otros) [those inherited from Latin VOS] will help out tremendously when learning/teaching/coverign vos in Hispanic America (Mexico to Chile), plus it wouldn’t be that strange to see vos in Zulia, Venezuela as they say vos sois mi amigo instead of sos. And I have to say not a lisp. Pass and path are not the same in English, and yet no one says we’re lisping, it’s the same with compás and con paz, what lisp? Again, just trying to make a point. Paz y’all or should it be path y’all? I think it’s funny that so often the teachers that insist on teaching and assessing the vosotros are Americans who “felt confused” in Spain without it. Yet, many latinos that never use the vosotros in their lives and are “fluent” are not confused in Spain without it. I have traveled to Spain and even have relatives that live in Spain and the vosotros is not an issue. I do not use the vosotros, nor do I need to, so therefore I introduce the form to my students but never assess it. Besides, since it is not natural for me to use it, I really don’t model it in use, therefore, it would seem inappropriate to assess it. I agree that I think this is the same belief that British English is more correct than American English. Some people would think so…. I don’t. I would also like to add that I would hope people aren’t still making language learning all about the grammar and not about the communication. As stated above, students in the U.S. are more likely to use Spanish with Spanish speakers that don’t use the vosotros. I agree with this too. I’ve had so many heritage friends who spoke their dialects/ used vocab unfamiliar to the teacher and were chastised for it, thus lost their interest in learning Spanish. One friend, una boricua, switched to French, because she couldn’t deal with the teacher’s intolerance. It was quite sad, really. My professor in college, una chilena, told me that her son .. also a native speaker… had trouble in his Spanish class because the gringa teacher didn’t like his use of the language. We shouldn’t be discouraging ANY student from expressing himself or showing interest in ANY aspect of the language or culture and it’s sad when it does happen. In fact, I wish to teach in a school district where more diversity is represented in the language department. I want to see some Caribbean teachers. I *NEVER* had a Cuban teacher and I really want one. I’m encouraging my friend Hector, a Venezuelan, to teach here because schools really need the diversity in the language. But that’s just my two cents. I really love interacting with various Spanish speakers. Sure I’ll teach the “norm” Peninsular Spanish as required, but we’ll explore the Spanish used in other countries. For sure. Yes, of course native speakers shouldn’t change how they speak in the classroom. And I’m all about discussing variations in the language (and culture) between the different countries. The main point of the post is to show that vosotros is not used in America. Bottom line: Hopefully we are encouraging communication so that our students can actually communicate with native speakers and not just conjugate a silly verb. When you are teaching “vosotros” you are teaching “vos”. Take the “vosotros” form and remove the –i in –ar and –er verbs (Vosotros sois – vos sos). If it’s an –ir verb, the two forms are identical.